nice.............a very unique way to serve the raw banana. looking fabulous.. will taste better with rasam rice.. This is my husbands favourite dish, it was the first "nadan" recipe that I learnt. Your recipe looks great! Hello, Thank you visiting my sapce..kerala dish looks o tasty..never tried ..did you use fresh coconut ? Happy to follow you !! Drooling over that irresistible kalan. That's always a sweet reminder of homeland..Truly worth it Shabbu. Nice meeting you.Thanks.Hope to see often. I have tried with Plantain with Yogurt, but the addition of coconut is new to me...will try it next time..
That looks yummy! 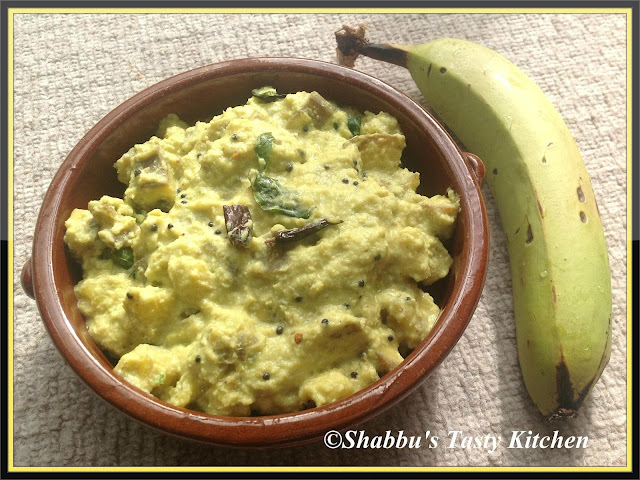 Never cooked the plantain with curd and coconut!